Sister Jacinta and Barbara are our “greeter” volunteers, a new services of ours. We are continuously looking for ways to improve our services and the ways in which we provide them. Over the last few years, we’ve opened a computer workroom, added evening hours to our pantry schedule as needed, started new life enrichment groups, and much more. And now, we are thrilled to have Sister Jacinta and Barbara as our volunteer “greeters”. For the last four months, they have been warmly greeting members to Samaritan and then steering them in the right direction based on their unique needs – whether it’s to our food pantry, clothing “shop”, or to one of the staff offices. They talk with members to better understand if there is an emergency or time-sensitive issue that needs to be addressed right away. They also sit and chat with members who want company while they wait, and guide others who need a quiet spot to the best space. “They do a fantastic job,” says Sharon, Program Director at Samaritan. “A big part of what we do is to help people feel safe, respected, and cared for. And that’s exactly what Sister Jacinta and Barbara do every time they’re here. They are already much-beloved by staff and members alike,” Sharon continues. 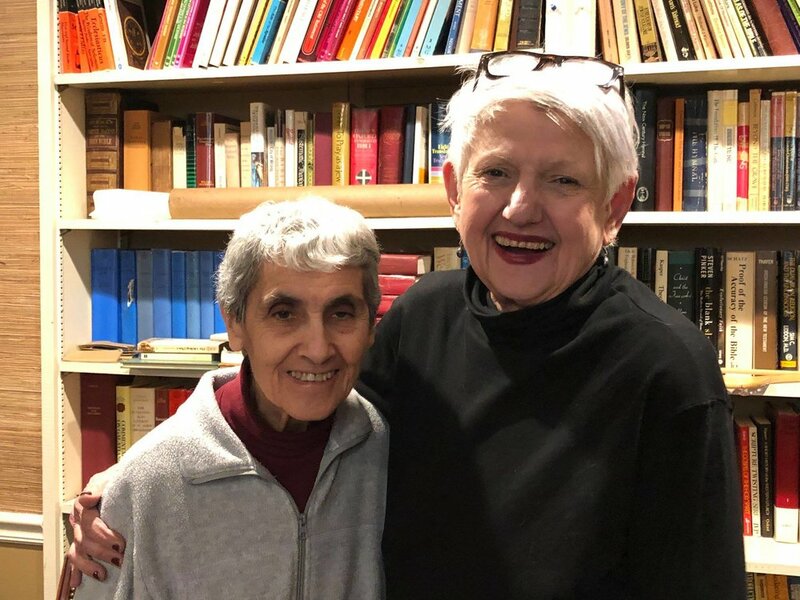 Thank you, Sister Jacinta and Barbara – and all of our wonderful volunteers – for giving your time and talents to others.